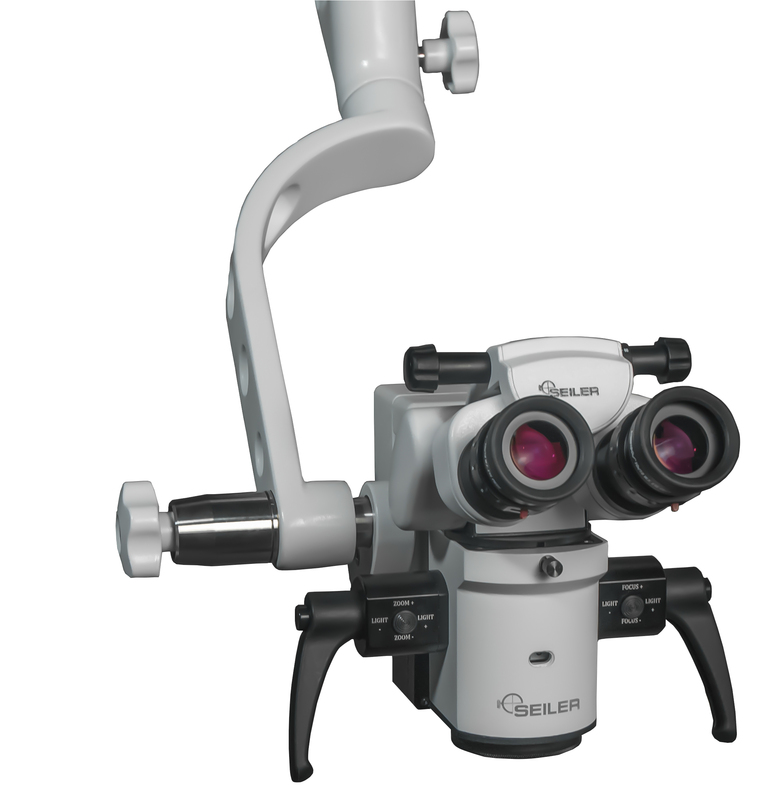 The Seiler Evolution Zoom is a new zoom microscope that allows the user the ability to operate in a continuous magnification range of 3x-24x. The magnification and the motorized focus system are controlled by a set of control handles or a motorized foot pedal control. This allows the operator the freedom to control the magnification level with ease.